Boulder opal doublets are fashioned using ironstone (the natural host rock of boulder opals) on the back, and a solid, bright, natural Australian opal on the surface. 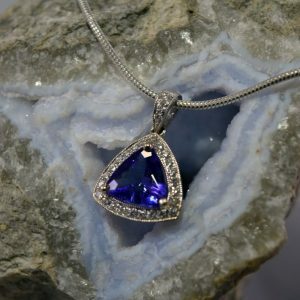 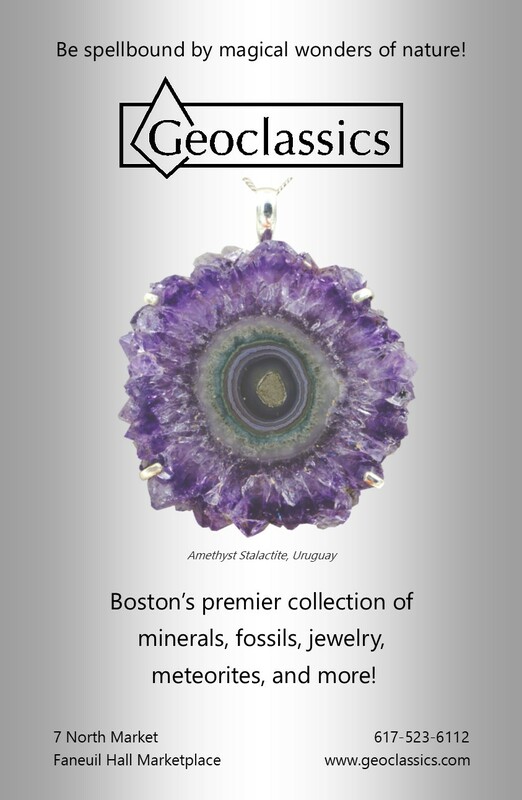 Each stone’s unique color and shape is fashioned into one-of-a-kind jewelry. 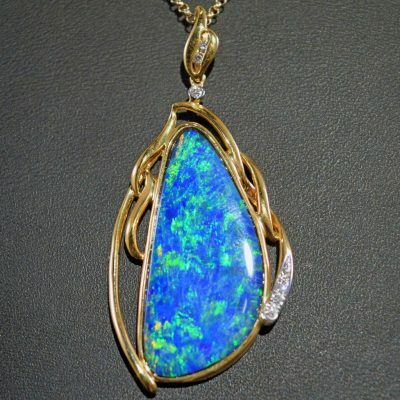 To clean boulder opal doublets, use a damp soft cloth. 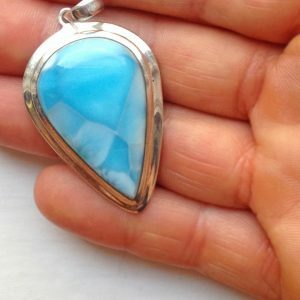 Never use jewelry cleaners, steamers, or ultrasonic cleaners. 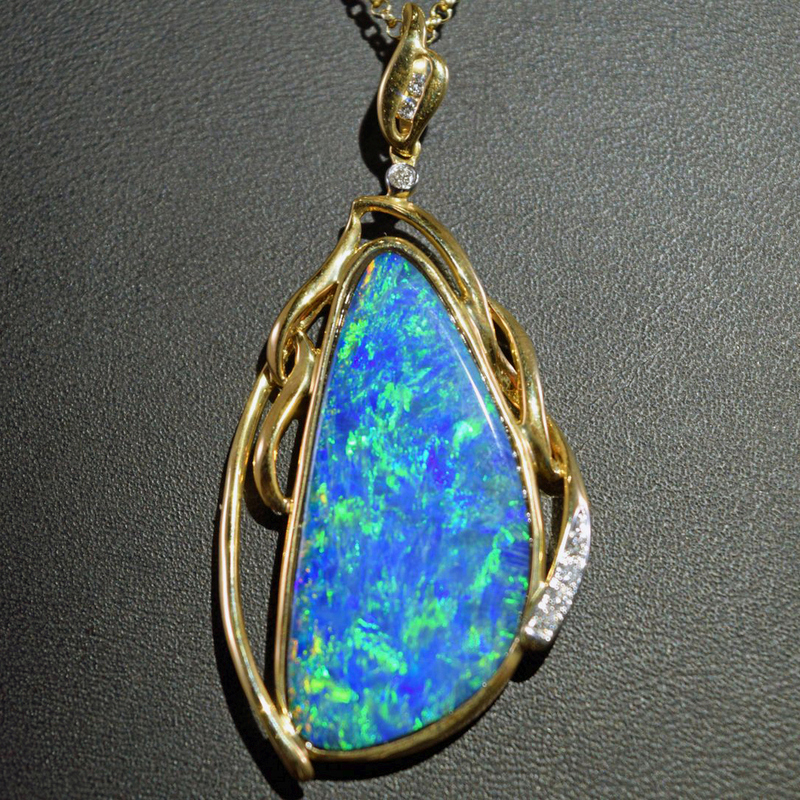 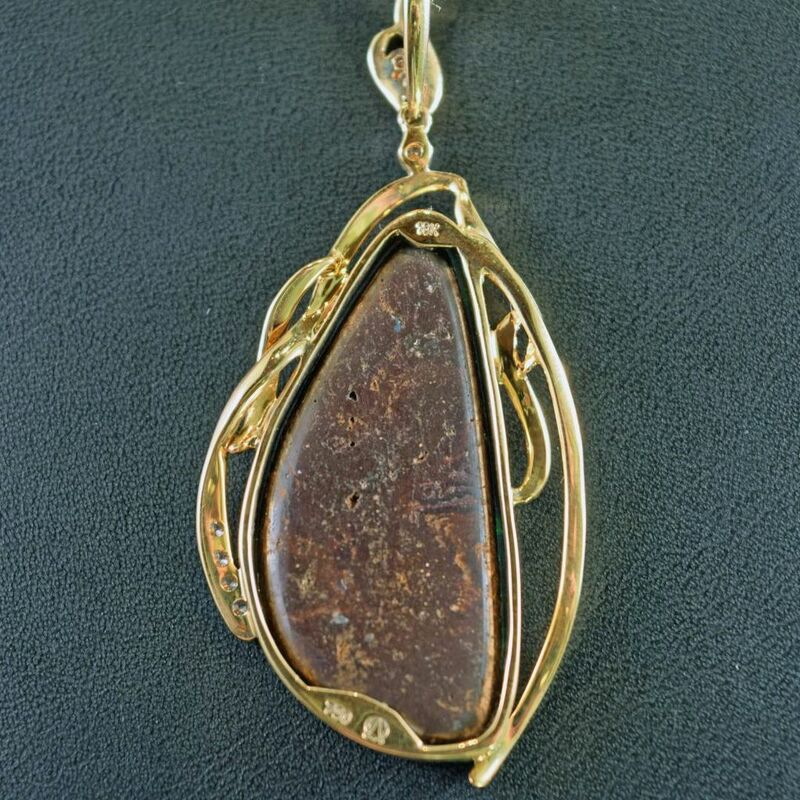 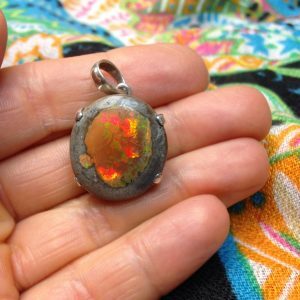 Bathing, showering, or swimming while wearing boulder opal doublet jewelry is not recommended.